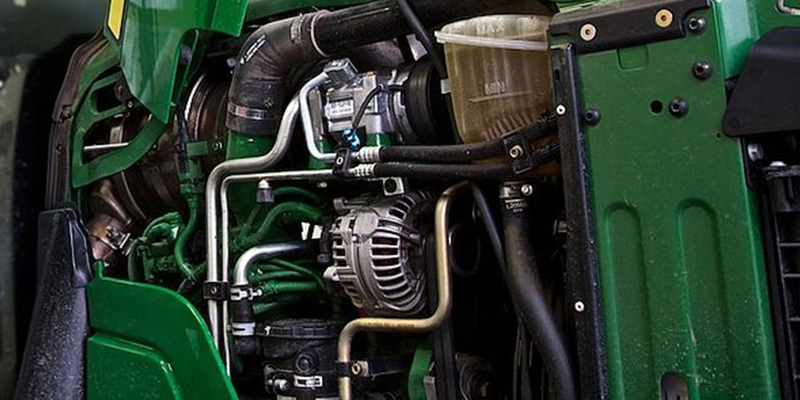 We offer you the service of removing / disabling the EGR valve on agricultural tractors. It is a simple computer deactivation of the exhaust gas recirculation system. This means the EGR valve is completely closed in all conditions. Our service is a guarantee of solving the problem of the exhaust gas recirculation valve once and for all. A common cause of EGR problems (both the valve itself and its cooler) is the high water content of the diesel fuel. Over time, this element can become covered with a specific substance, which is a result of combustion. This causes the throttle to work improperly. As a consequence of this factor, the life of the engine shortens and the tractor user is forced to visit the service more frequently in order to rectify the fault. It is also possible to shut down the completely depleted exhaust gas recirculation. This seems to be a more sensible choice than low efficient cleaning and expensive replacement of the EGR valve, which does not guarantee that the fault will not come back after some time. We support all models of Claas tractors equipped with EGR valve. Our company provides a 24 month warranty on the provided service. We reach customers from all over Poland. If your tractor is not on the list, do not worry, send us a message and we will try to help. If you have questions, please contact us through the contact form.